The aim of this portfolio was to fund large-scale permanent projects (valued at $1 million or more) to make a positive difference to greater Christchurch and the Canterbury region for 20-50 years and leave a legacy to the Appeal. Priority was given to large-scale, multi-purpose, collaborative projects that benefit the wider community, directly meet an earthquake-related need, and are invested in the future of Canterbury. "Connecting the City to the Sea"
This image can be downloaded in high resolution here. $2.5 million for the Canterbury Provincial Council Buildings, to be used towards restoration and reconstruction of its Armagh and Durham street stone towers. When completed, this work is intended to enable the adjacent wooden buildings to re-open for public use as soon as possible. Widely acknowledged as New Zealand’s most outstanding example of High Victorian Gothic Revival architecture, the buildings were severely damaged in the 22 February 2011 earthquake. The Stone Chamber (1865) collapsed immediately, compounded by subsequent seismic activity. The Armagh Street stone tower collapsed and the Durham Street stone tower was damaged to the point where deconstruction was necessary. At this point the Armagh and Durham Street stone towers have been deconstructed down to a height of 2-4m above ground level. The $2.5 million is to be put to their restoration and reconstruction, opening up the principal public access way to the buildings, through the Armagh Street tower. Funding of $1.25 million is being provided by the Ministry for Culture and Heritage to match the $1.25 million granted by the Appeal Trust. The restoration of the two towers supports a landmark recovery project, significant to the Christchurch City Council’s contribution towards rebuilding of the city. $1,250,000 to help the Christchurch Symphony Orchestra establish a new rehearsal space, to replace the venue lost in the earthquakes. $15 million to “Connecting the City to the Sea” legacy through eastern Christchurch. The $15 million will fund future projects that help connect the city to the sea from Te Papa Otakaro/Avon River Precinct at Fitzgerald Avenue through eastern Christchurch. “Connecting the City to the Sea” projects could include such things as permanently restoring environmental, recreation and sporting features, wetlands, walkways, cycleways, public performance spaces, community spaces and play areas. Read the media release here. Click here to find out more about "Connecting the City to the Sea" and if your project could access funds from the $15 million. $3 million loan towards construction of the new pavilion at Hagley Oval, providing a new home ground for cricket and much needed community meeting spaces following the impact of the 2010 and 2011 earthquakes. The $3 million loan will be written off over five years provided the following commitments are met: the pavilion and oval are used for suitable community events and sports other than cricket and the pavilion provides free changing rooms and public toilets for summer and winter sports players using surrounding grounds. In addition a number of complimentary match tickets are made available for people adversely affected by the earthquakes, including younger cricket players and members of the wider community. The 2010 and 2011 earthquakes destroyed the key cricket venues in Christchurch, AMI Stadium and QEII Park; and Hagley Oval will now replace AMI Stadium, formerly Lancaster Park and New Zealand’s oldest test cricket venue, as the home ground of cricket in Canterbury. Appeal Trustees granted a further $1.5 million towards the rebuild and restoration of the Isaac Theatre Royal so it can re-open in 2014. 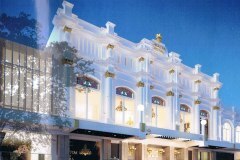 The Isaac Theatre Royal, a 104 year old heritage building in Christchurch city, was also granted $1 million funding from the Christchurch Earthquake Appeal Trust in late 2011. The rebuild and refit will help to ensure the theatre is more flexible, and suitable for a wider range of professional and community groups. The Theatre is an iconic and much loved public performance venue in Christchurch and once re-opened will be the only Grade A Heritage listed theatre remaining in the city as well as the only surviving and operating Edwardian style venue in New Zealand. Regular shows at the 1300-seat Theatre will now include the Royal New Zealand Ballet, National Opera, Showbiz Christchurch, Christchurch Arts Festival, Christchurch Symphony Orchestra, NZSO as well as international and national major touring productions. The Theatre has hosted some of the world’s greatest actors and performers, including Sir Ian McKellen, and Dame Kiri Te Kanawa. Sir Peter Jackson filmed segments of both ‘Heavenly Creatures’ and ‘The Frighteners’, films that launched his global recognition. 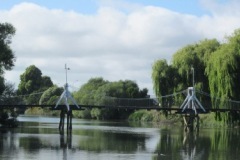 $2 million to the Kaiapoi Riverbanks Project to provide and repair walkways, cycle ways and other public amenities along the Kaiapoi River through Kaiapoi township. $2 million is now available to the Waimakariri District Council to stimulate this project and begin work. 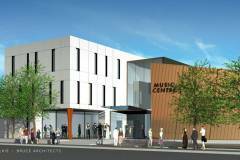 $2.5 million towards a new Music Centre of Christchurch so it can again benefit thousands of professional, educational and community users with a 300-350 seat concert hall; two 100 seat concert spaces; arts admin spaces; teaching studios; examining and rehearsal spaces. 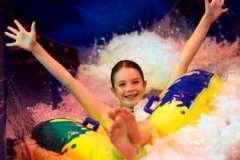 $6.5 million for water attractions at the new Christchurch City Council Recreation and Sports Centre in the eastern suburbs. This grant includes $3.1 million generously donated by an anonymous donor who gave $5 million to the Appeal to help fund projects for children in the eastern suburbs, $500,000 kindly provided by New Zealand Community Trust and a further $20,000 kindly donated by SC Johnson & Son PTY Ltd. Trustees hope that the Appeal Trust funding can make the aquatic facility great fun with a lot more to offer people and by providing confirmation at this early stage Council can include water attractions in the overall design of the centre.